Hi, my name is Michelle and I service Taihape, Marton, Ohakune, Bulls, Sanson, Palmerston North and surrounding areas. I offer all services, from, washing, drying, nail clipping and full grooming, including clipping & styling on all breeds of dogs. 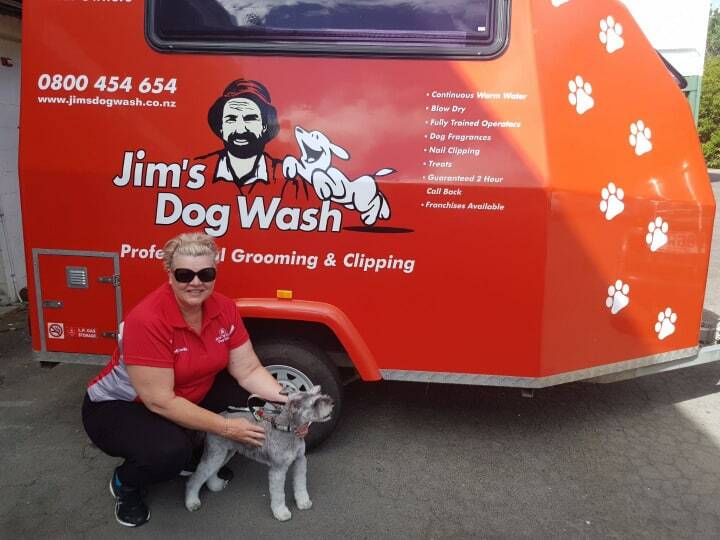 Having spent the last 28 years working in the hospitality & tourism sector, I wanted to fulfill my dream of owning my own business alongside working with animals, Jims Mobile Dog Wash ticked both boxes. My passion for animals started with my first cat when I was 4, and I have had dogs, cats, horses etc ever since. After 5 years working in the RSPCA in Sydney, I always knew that I would work with animals again and having recently moved to Taihape, the timing was perfect to start that dream. I look forward to meeting your fur-babies and providing the level of service that they all deserve. For all appointments, call Michelle on 0800 454 654.